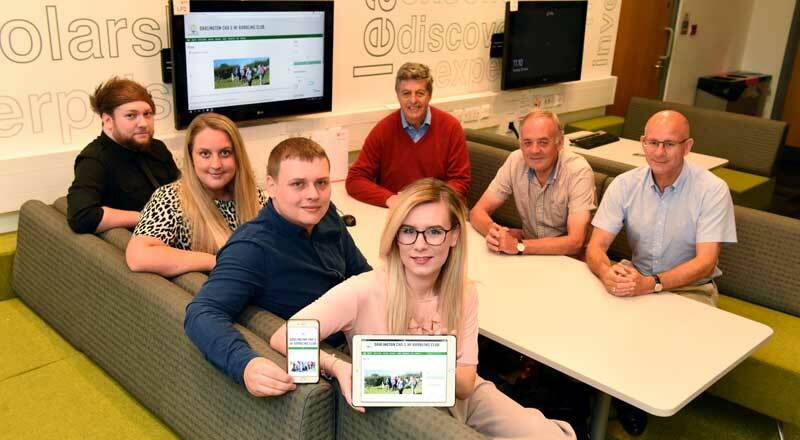 A group of talented Teesside University students has received praise from a regional walking club after working tirelessly to design and implement a brand new website. 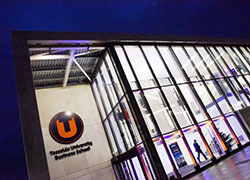 Teesside University students Jay Snow, Charlotte Cooney, Michael Wilson and Sophie Kelly, with club members Ian Bagshaw, Ian Nelson and Ged Shotton. The five final year students from the University’s School of Computing were tasked with creating the website for Darlington CHA and HF Rambling Club as part of their final year course. Designed to give students an experience of what it is like to work with a live client, the group had to research the walking club, meet and pitch their ideas to members and come up with a modern, mobile-optimised website. Darlington CHA and HF Rambling Club, which was established in 1936 and has almost 100 members, were delighted with the results and praised the students for their hard work and dedication. 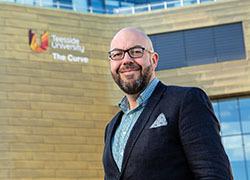 Ian Bagshaw, Chair of the Club, said: 'We had a website, but we wanted something new, something vibrant and something which embraced new technology. 'Everybody at the club is delighted with the end result. The students were extremely conscientious, they worked hard and showed a tremendous amount of professionalism throughout the project. The students were extremely conscientious, they worked hard and showed a tremendous amount of professionalism throughout the project. Jay Snow and Charlotte Cooney, third year BSc (Hons) Computing students, together with Michael Wilson, Sophie Kelly and Jonathan Cummings, who are studying BSc (Hons) Information Technology, all worked together on the project.